Emory Transplant Center is committed to providing excellent clinical outcomes and delivering outstanding service and medical care to our patients. Our expertise, combined with our top ranked survival outcomes, allow us to provide patients with the highest level of experience and quality care possible. In 2017, our kidney transplant team performed 235 adult kidney transplants, and 15 kidney/pancreas transplants. This positions the Emory Kidney Transplant Program among the top 15 centers in the nation for kidney transplant volume. We performed 82 adult kidney transplants from living donors in 2017. 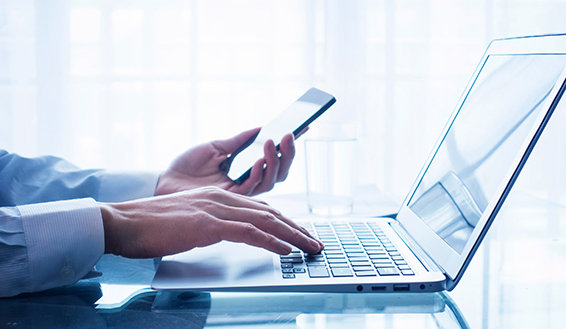 Living donation, especially when facilitated through the National Kidney Registry, can speed the process to find compatible donors for patients and reduce wait times. In 2017, Emory’s Kidney Transplant Program ranked as the 5th largest paired donor program nationally through the National Kidney Registry (NKR). 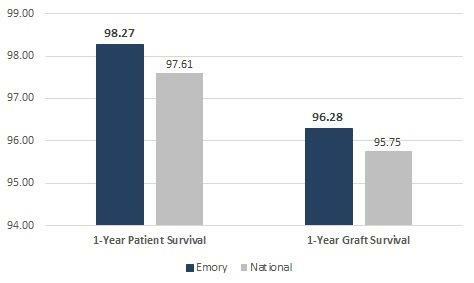 Emory’s risk-adjusted three-year patient and graft survival rates for living donor kidney transplants are higher than our expected rates at 98.28% and 93.33%. *Published in the July 2017 Scientific Registry of Transplant Recipients.